The Midwest is notorious for its formidable winters. Thankfully, we Wisconsinites know how to handle our snow. In fact, at Terra-Firma Landscape, we’ve been doing it for 20+ years. In our northern state, where winters are long and very white, snow quickly loses its novelty. We understand all the headaches that it can bring. Don’t let your routine get shaken by the latest storm. With our large fleet of high-caliber trucks, we are available 24 hours a day to clear your property. Snow and ice are an annoyance, surely, but often they seem more an inconvenience than anything else. We always urge our clients to remember that icy roads and slippery snow can not only slow down foot and vehicular traffic, but cause injury, as well. In fact, some of the most common personal injury lawsuits are ice slip-and-fall cases. Just one simple slip can result in not only pain, but potential paralysis—particularly if one falls on their neck or spine. While many people allow snow and ice to accumulate on their properties, failing to take appropriate precautions for your premises can lead to costly lawsuits. Such situations are best avoided, and they easily can be with proper snow and ice removal and maintenance. 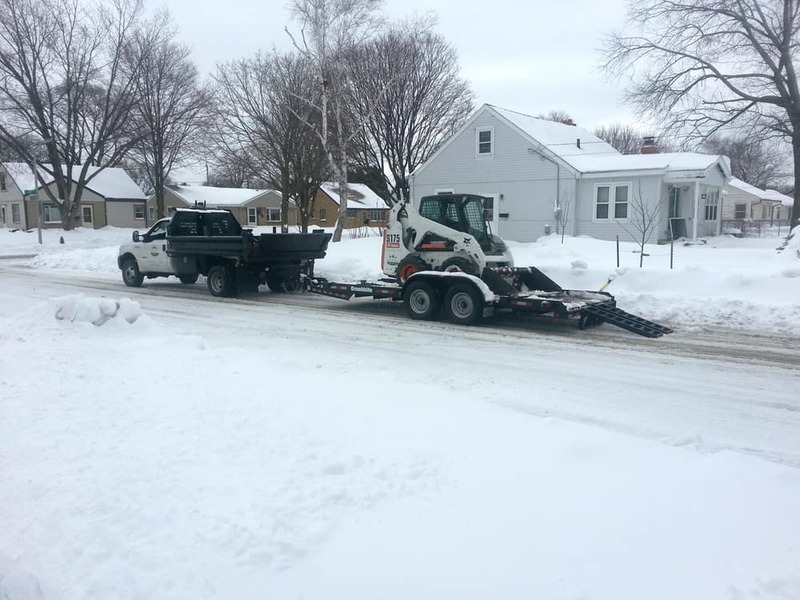 Snow plowing now can have big pay-offs later, as your property stays accessible and inviting. 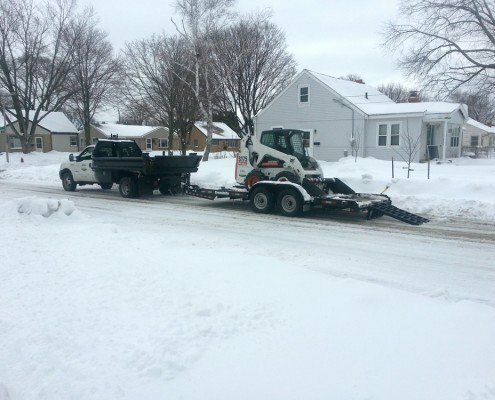 Commercial snow removal and ice control is Terra-Firma Landscape’s most rapid growing service—and for good reason. 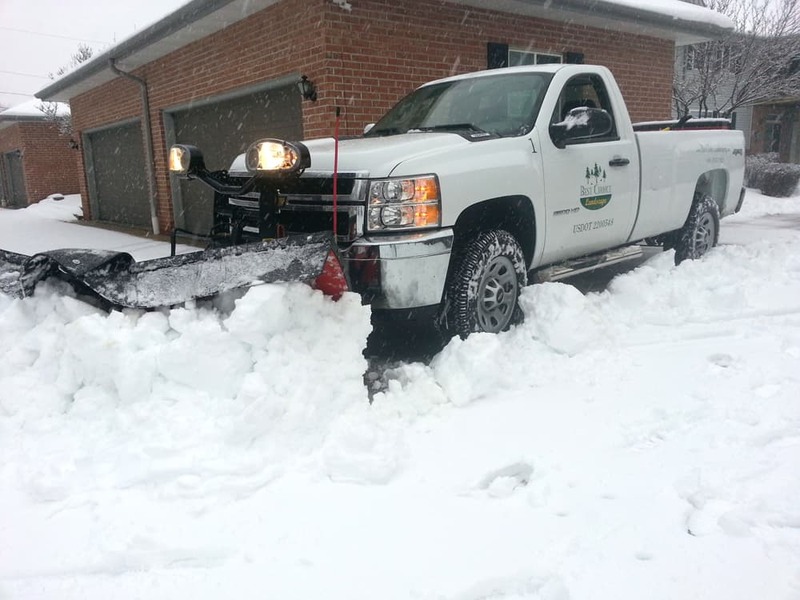 Our methods and experience make us best qualified to quickly and efficiently take care of your ice and snow problems. Our widely-praised crew is equipped to handle commercial and industrial properties of all sizes. We use a conservative mix of calcium chloride salt that gets ice to melt fast, but doesn’t damage customer yards, plants or grass. We won’t waste your time or ours by unnecessarily over-salting, either. When Father Winter comes knocking, Terra Firma is there to answer the call. 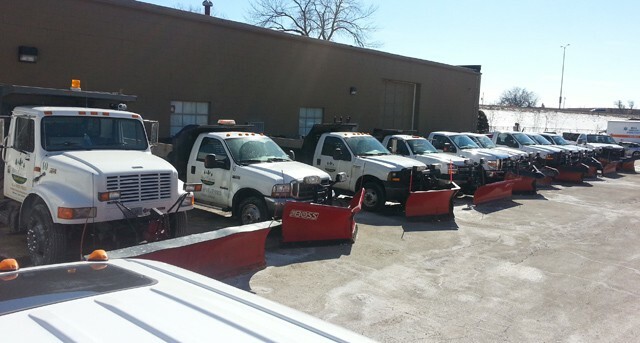 We are proud to helm the fastest, most efficient, and most reliable fleet for snow and ice control in the Midwest. We ensure that your property is cared for the way you, your guests, and your customers expect it to be. Our snow plowing and ice control is easy, fast, and affordable. Just because it’s winter doesn’t mean you have to suffer nature’s wrath. The property surrounding your business can be just as pristine in December or January as it is in April or May. With our cleaning services, you’ll hardly even notice the snow is there! Make sure that your business stays safe and accessible when the winter weather hits. From snow plowing to street salting, we have the experience and machinery to clear away that icy muck. Call us today for a free quote!